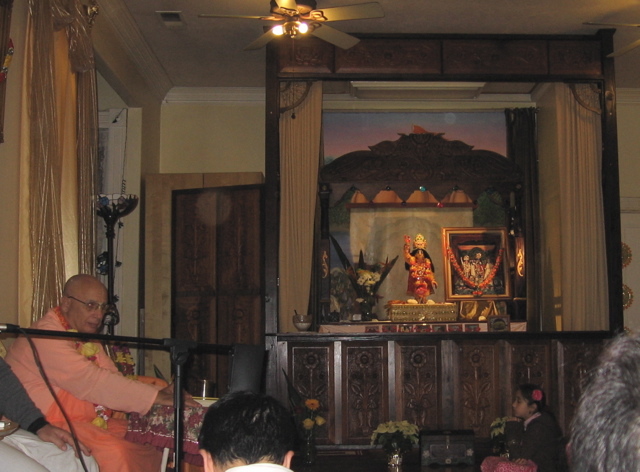 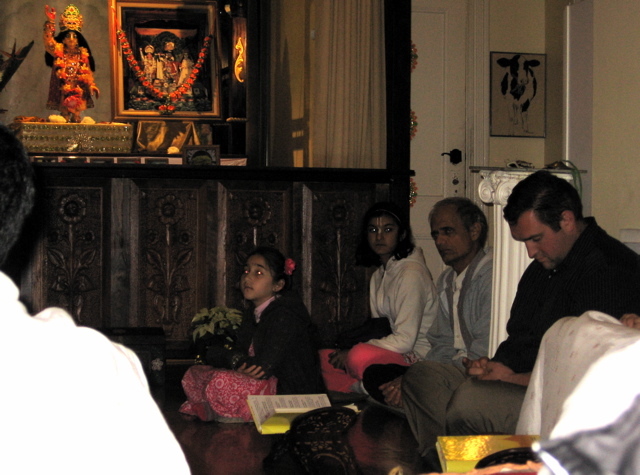 On Rasapurnima day in the year 2000, the divine deity form of Sriman Gaurangasundar (Lord Chaitanya Mahaprabhu) who had already been in California many years, and was being worshiped at the Soquel Seva Ashram, was installed in what Srila Govinda Maharaj called “His own home” on St. James St. in San Jose. 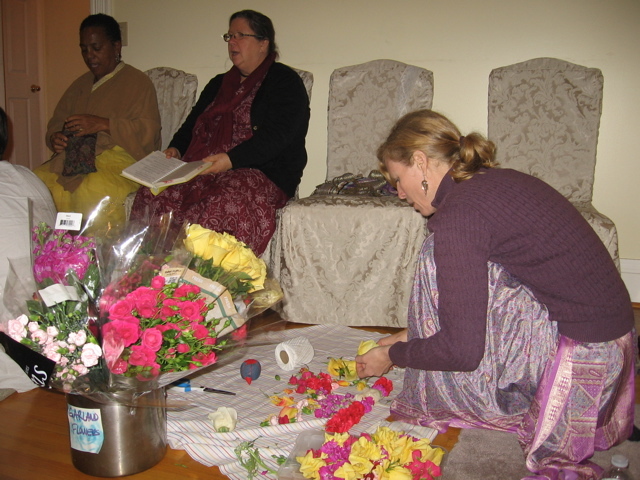 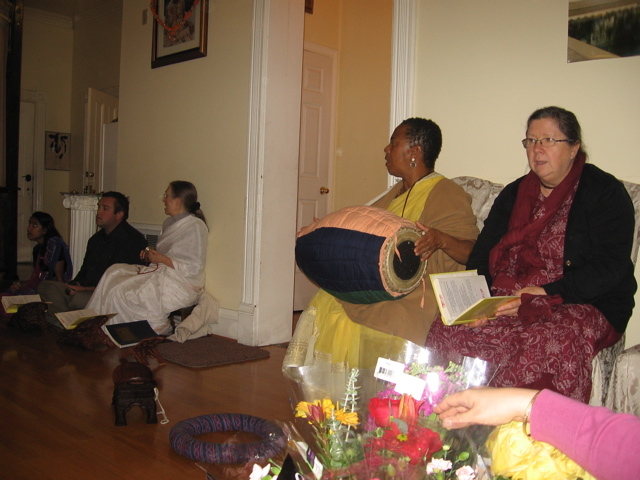 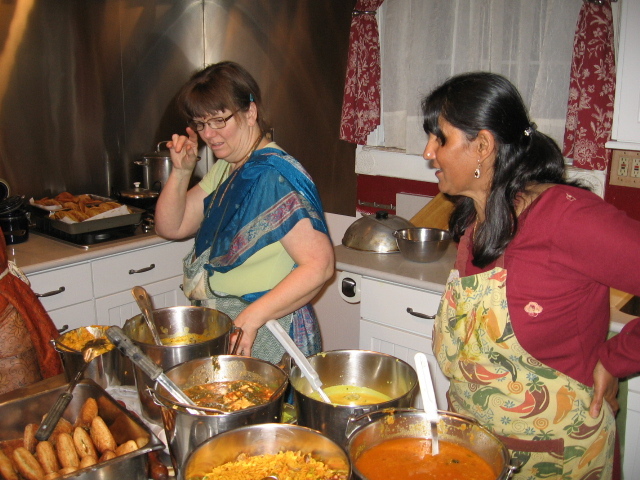 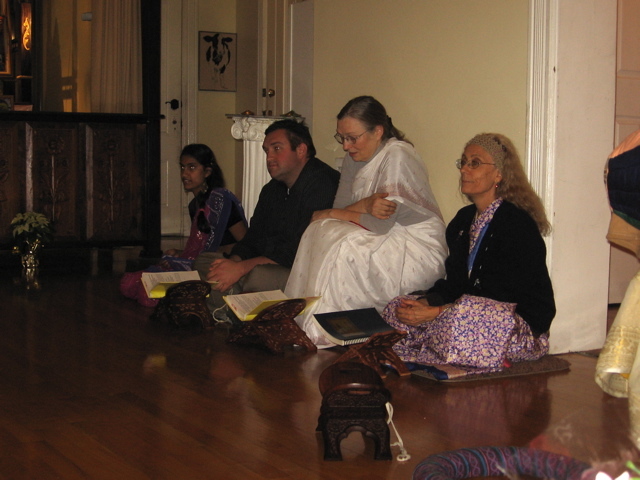 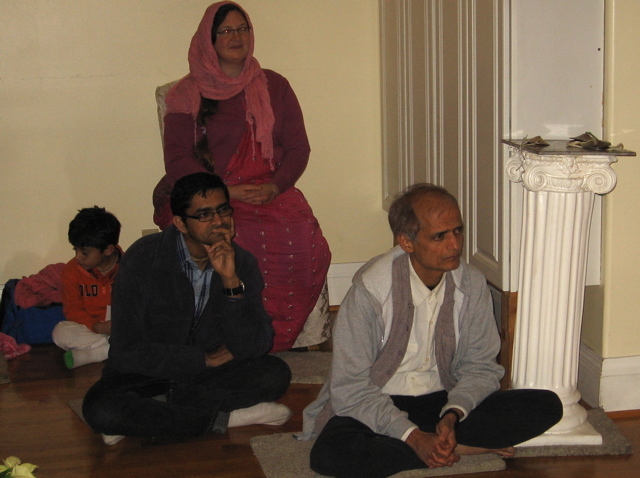 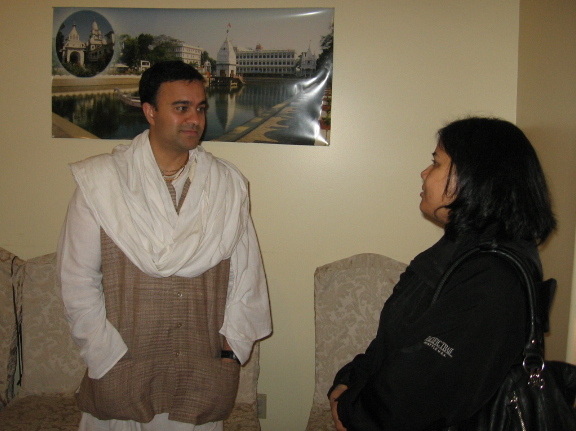 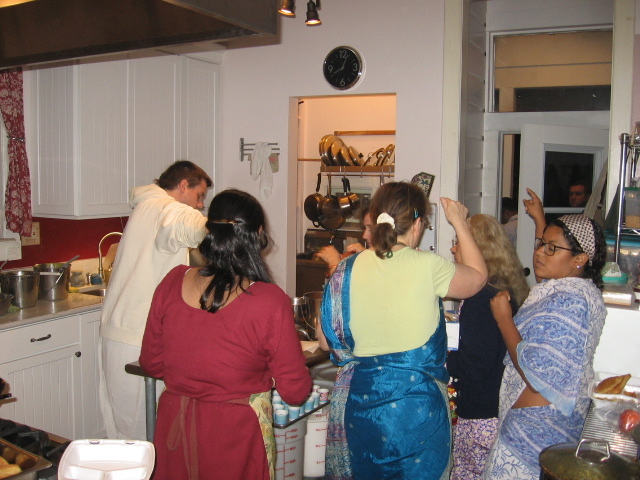 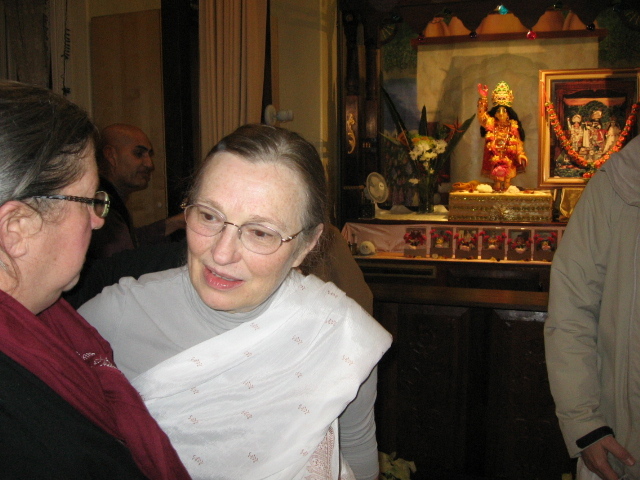 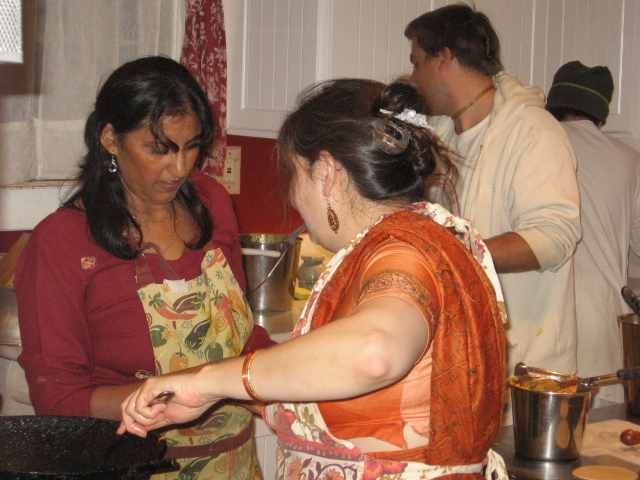 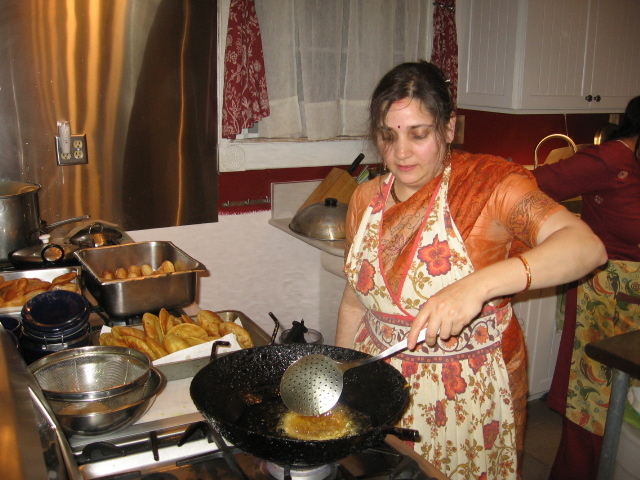 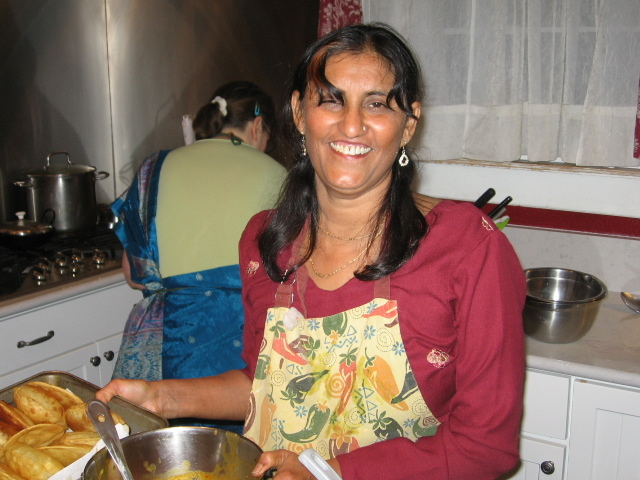 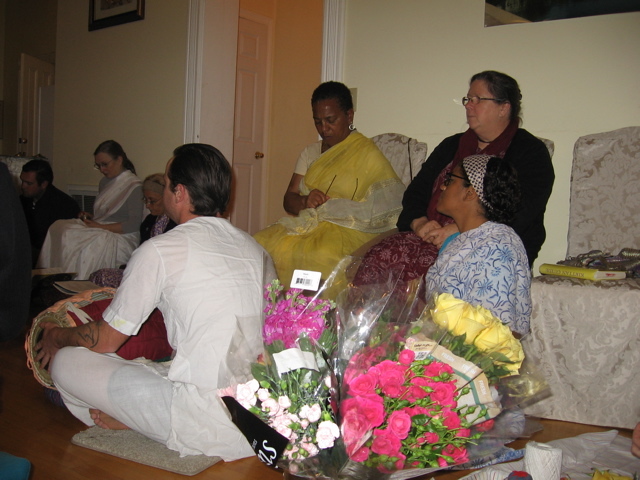 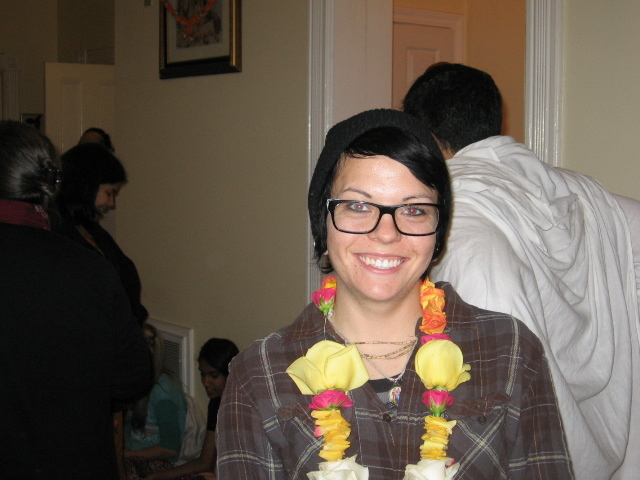 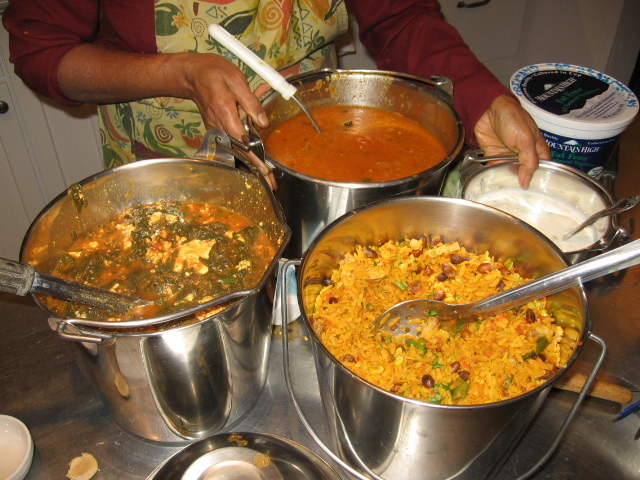 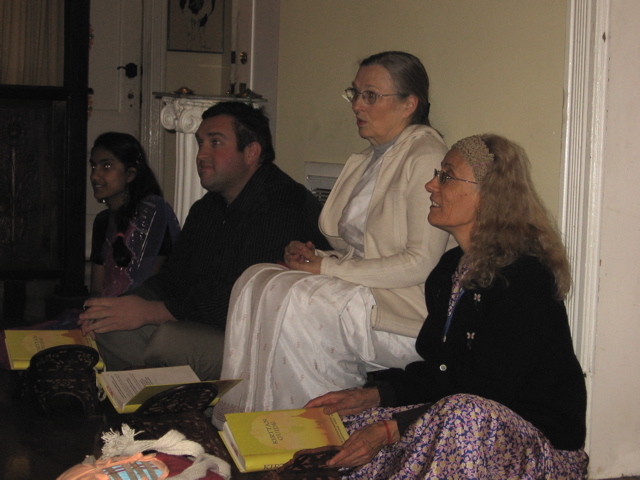 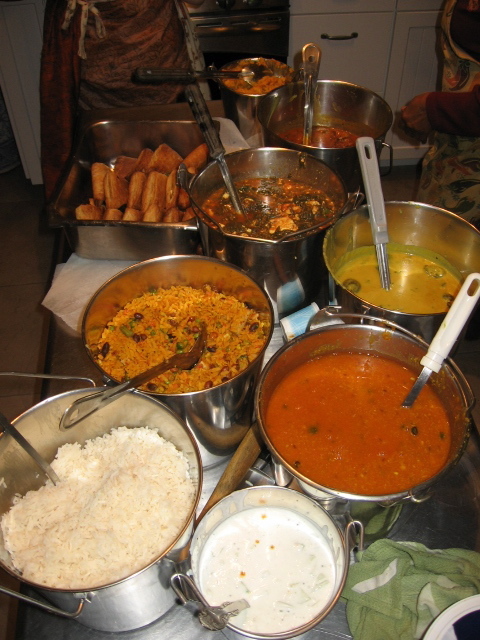 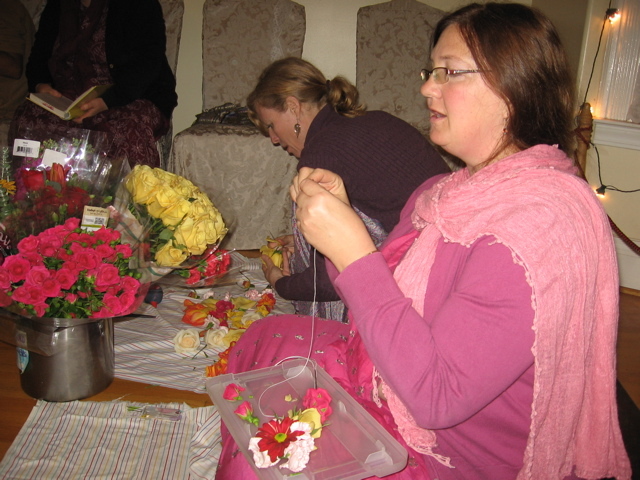 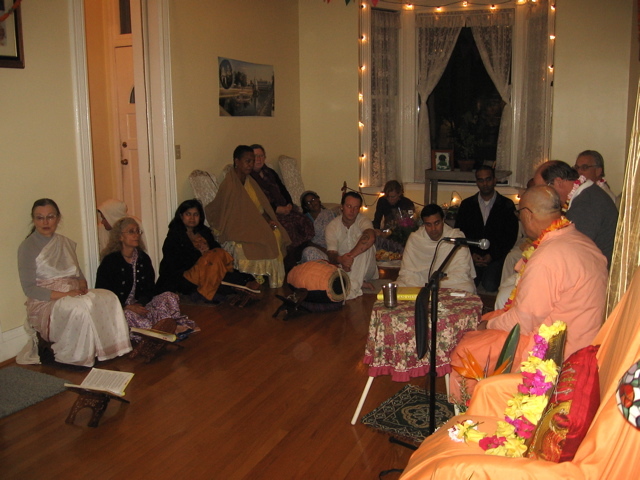 Srimati Kumkum Didi made all the arrangements for purchasing and remodeling the beautiful Victorian house to fulfill Srila Govinda Maharaj’s desire that there would be a temple in San Jose. 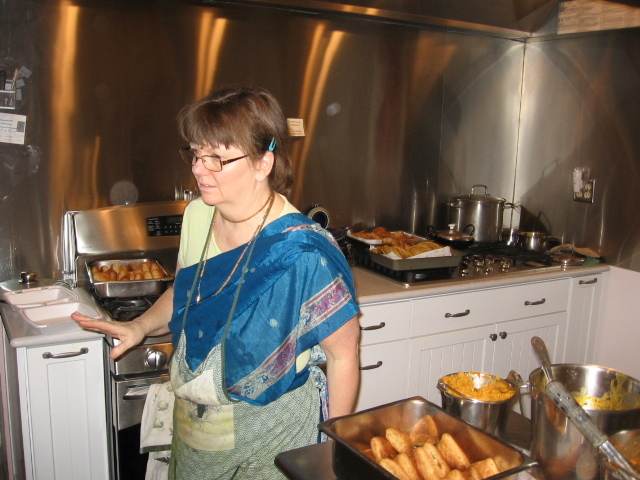 These twelve years she has maintained the Ashram and the Lord’s daily worship with the dedicated help of many gentle and honorable Vaishnavas. 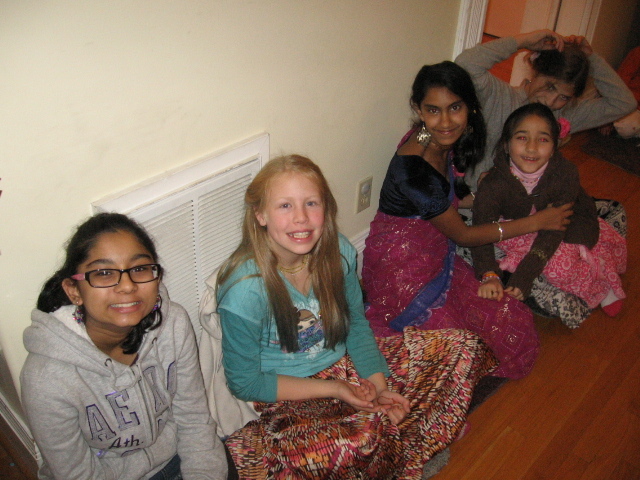 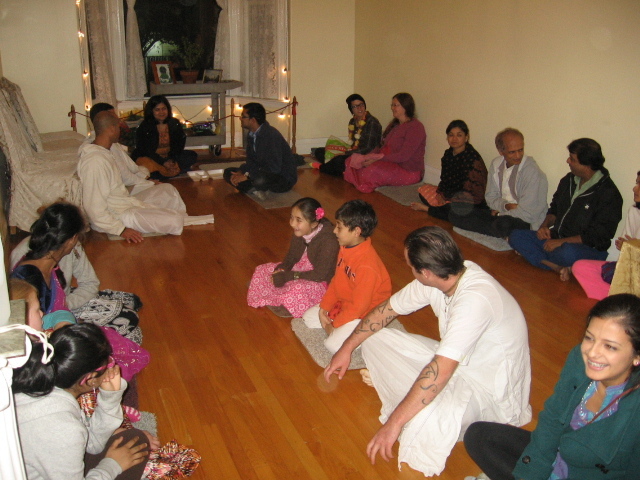 Here are some photographs from the lovely evening program held to commemorate and celebrate the fortunate day when Sriman Gaurangasundar arrived at the temple for the first time. 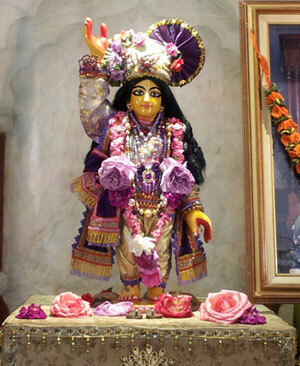 That day He arrived on a palenquin in a grand parade from 17th St. with jubilant devotees chanting the Holy Name in sankirtan. 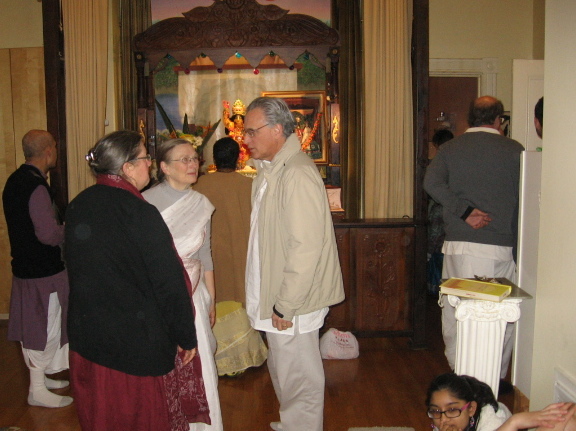 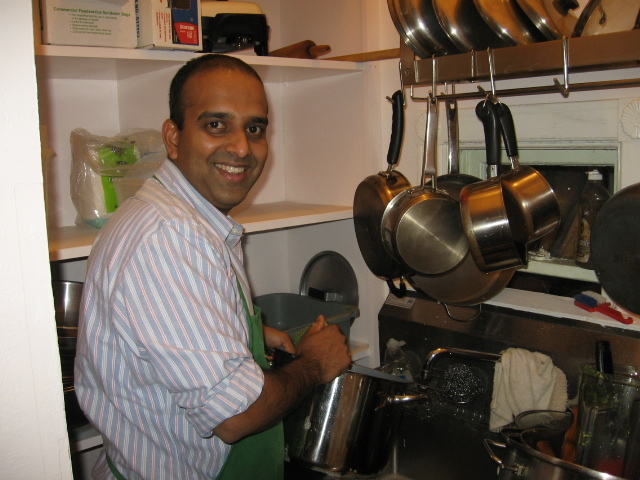 Srila Govinda Maharaj personally oversaw every detail of the arrangements for the altar, the offerings, and altogether every aspect of the Lord’s worship. 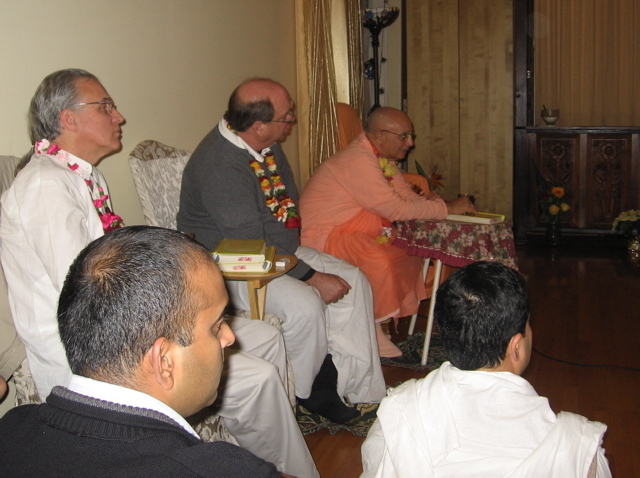 24 November 2007 San Jose, USA. 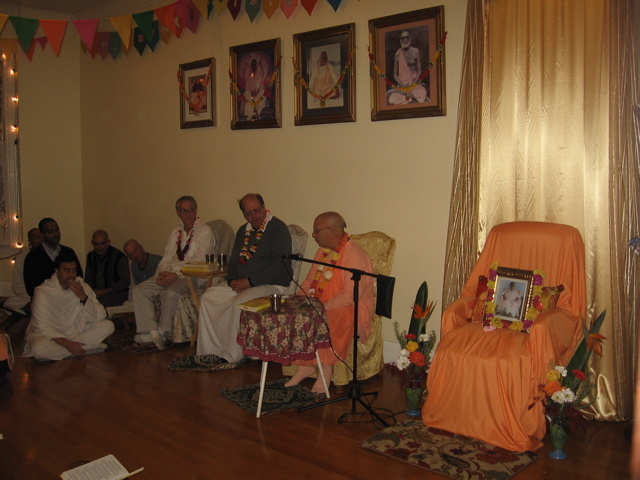 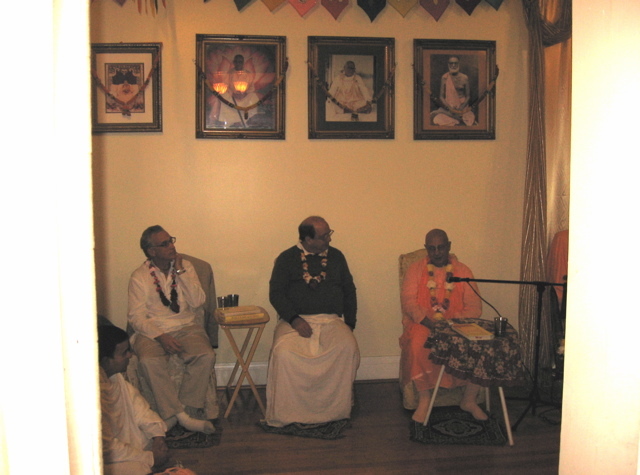 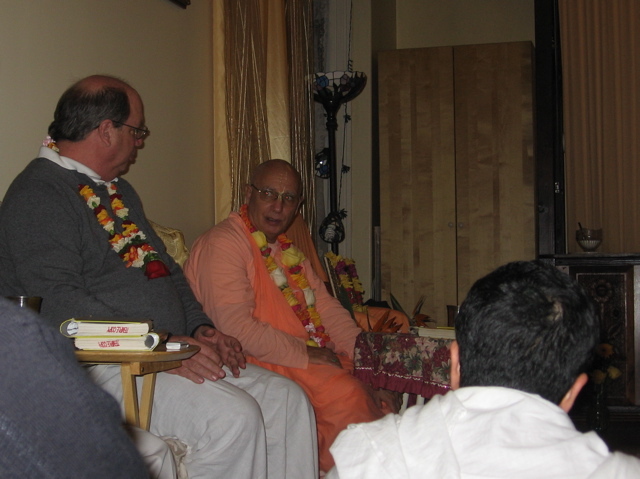 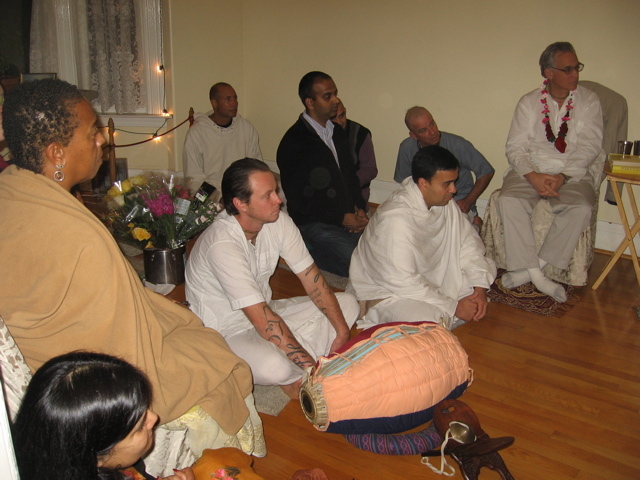 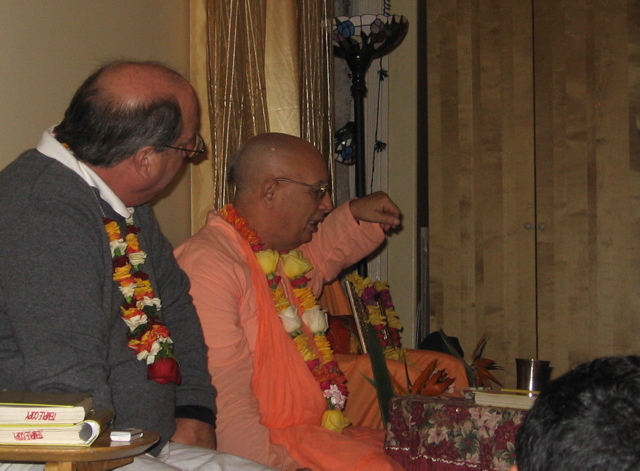 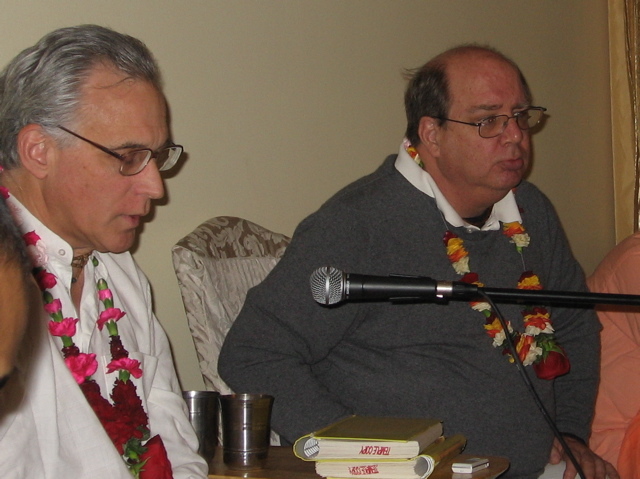 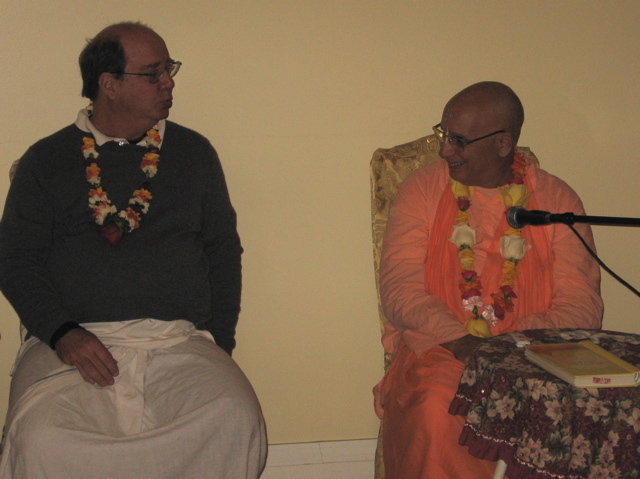 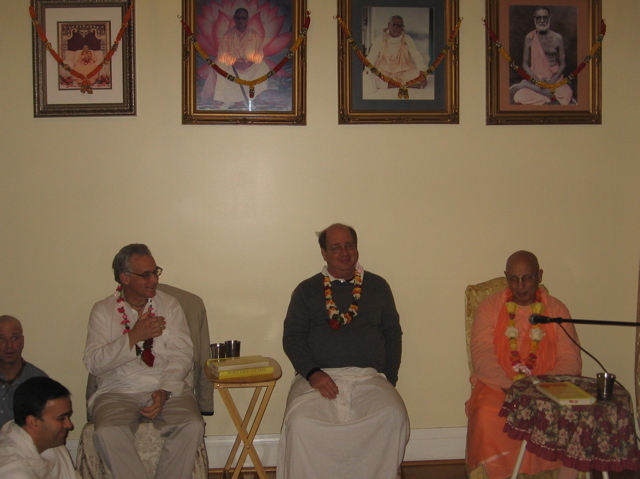 Talks by Srila Govinda Maharaj and Sripad Goswami Maharaj during the Anniversary Celebration of Sri Sri Guru Gauranga Sundar’s Auspicious arrival at the San Jose Sri Chaitanya Saraswat Seva Ashram. 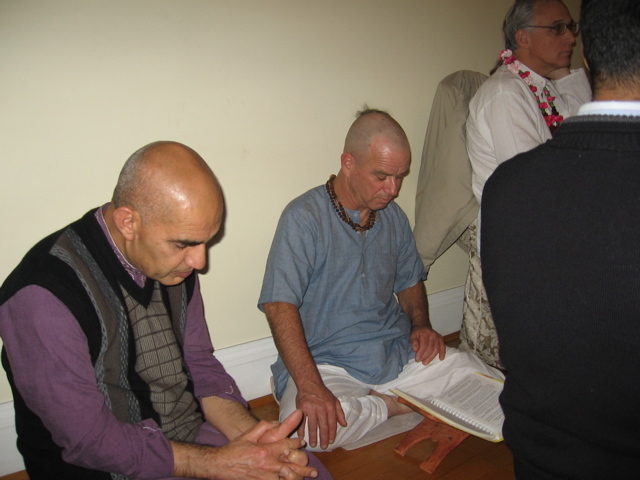 All glories to His Divine Grace Om Vishnupad Srila Bhakti Sundar Govinda Dev-Goswami Maharaj! 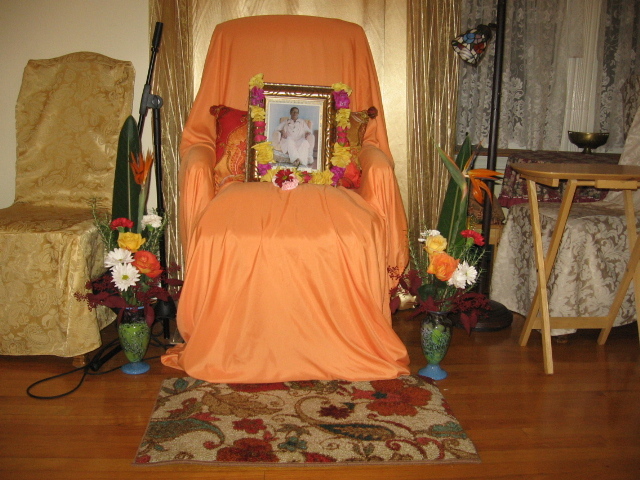 All glories to Sri Sri Guru Gaurangasundarjiu! 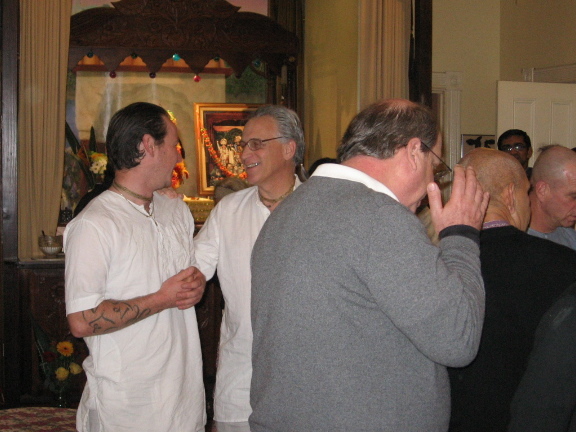 On the right: Ashok Kumar. 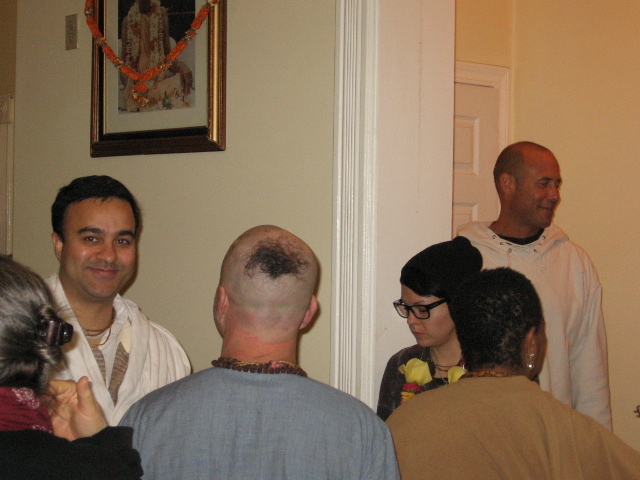 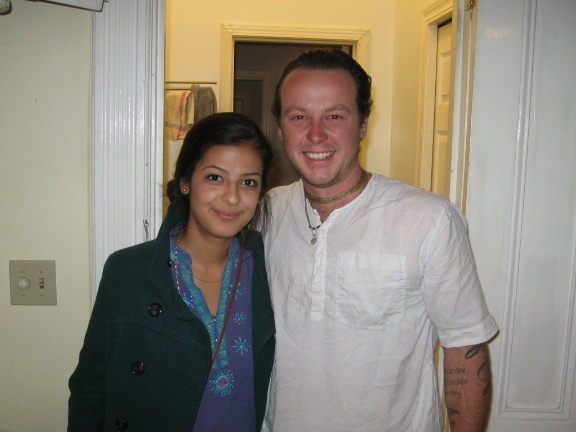 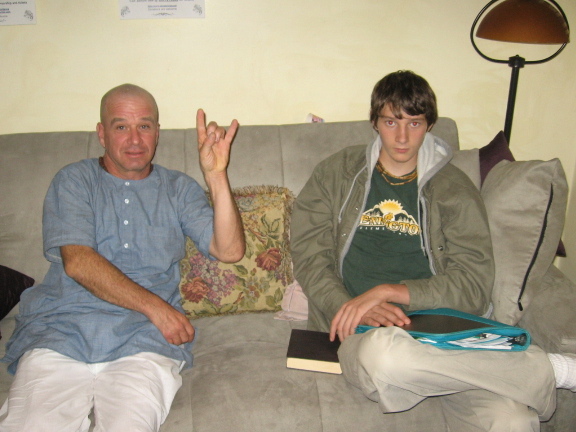 On the left: Venkatesh Chembrolu, son of Srila Acarya Maharaj's disciples, Hanuman and Sita. 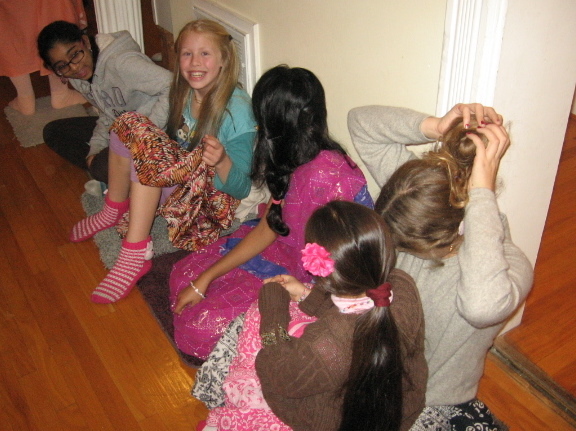 We're always happy when they can come.